Happy Friday loves! 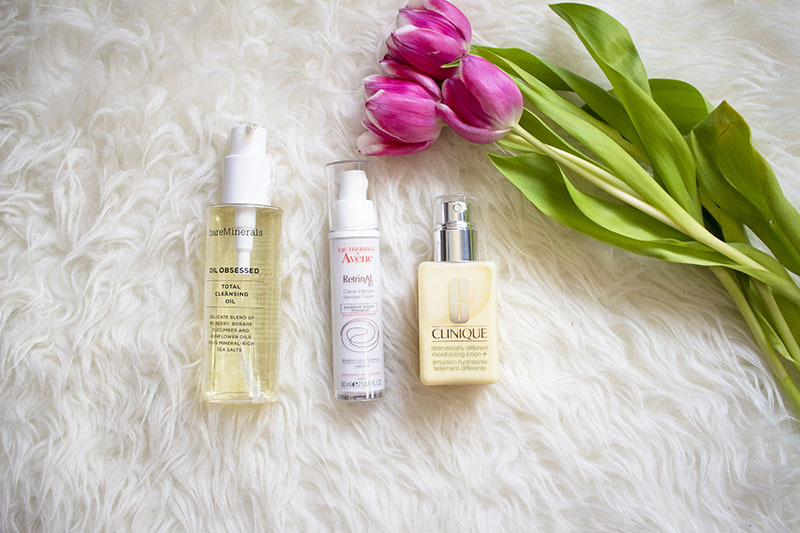 Today I'm sharing my top 5 skincare must-haves. A little background on my skin: it's mostly dry and sometimes oily during summer months. My skin needs all the moisture it can get so I tend to reach for products that won't dry out my skin. After doing some research and reading how amazing oil cleansers are supposed to be I came upon this one. Oil cleansers are supposed to work better at cleaning out your pores because it's oil based just like the dirt found in your pores. So basically the oil helps get the oil out. Another great thing about them is that they don't dry out your skin! Since it's oil based it cleans my skin while leaving some moisture behind. I've read countless skincare articles that recommend using a retinol in your 20's so I thought I'd give this a shot. Basically, retinol is an over the counter form of Vitamin A that helps with skin cell turnover and collagen production. I'm also hoping it helps with my acne in the long run. I've been using it every four days. I wash my face like normal, apply a tiny pea size amount and then layer my moisturizer on top. So far my skin is taking it very well. I even feel like my complexion has gotten a little glow! One tip: Less is more! This lotion is amazing! The creams I was using before were good but didn't seem to get rid of my dry flaky skin. But this has helped me and my dry patches tremendously! I apply this twice a day, at night and in the morning before applying my makeup. Now I don't have to worry about my makeup clinging to my dry skin. I only wish I would've found this product sooner! 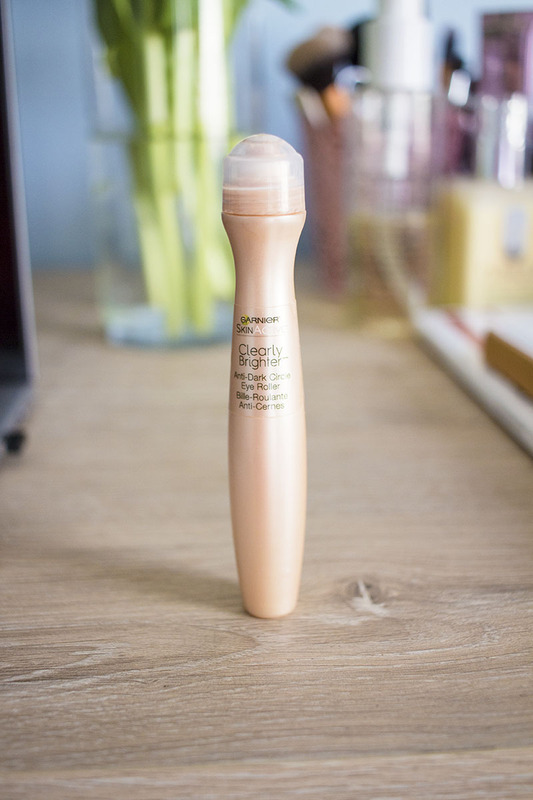 This is one product that I've been using since high school, on and off. I've always had dark undereye circles and it probably doesn't help that I don't always get the full amount of sleep that I need. I use this almost daily. I love applying this on no makeup days but also under my makeup so it can work its magic. 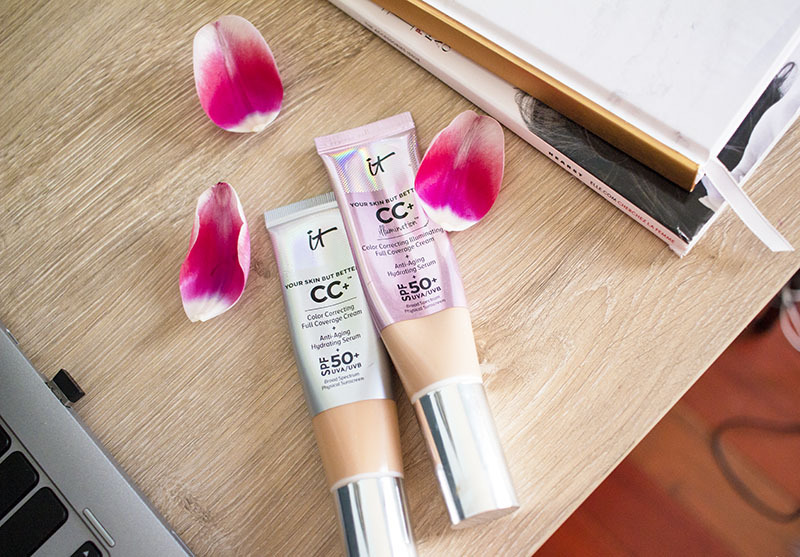 It Cosmetics Your Skin But Better CC Cream I use this as my foundation on most days because it has such a good amount of coverage and leaves my skin with a healthy glow. The reason why I bought it though is because of the SPF. Again, I'm always reading articles about how you should be using sunscreen daily but I never really cared to. Then I started noticing very tiny wrinkles and I think that's what pushed me to start caring for my skin better haha! I figured it's better to prevent now than trying to repair later on. It Cosmetics Your Skin But Better CC Cream Illumination This is the illumination version of the one above. It's the same product but with slight shimmer in it. It's perfect for a more glowy look. I actually prefer this one to the original but I love both!